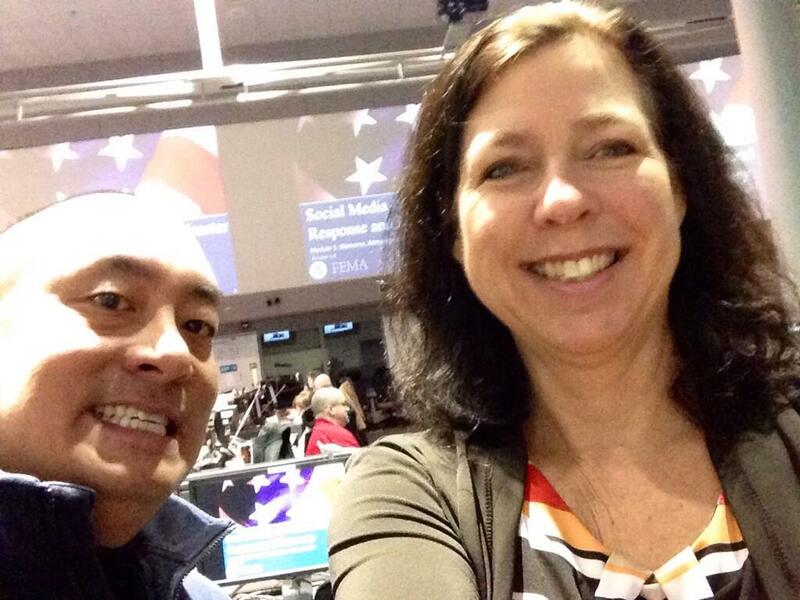 Teaching at Ohio EMA and a bonus #selfie with Executive Director Nancy Dragani in the EOC | Where is @rusnivek? Best #selfie ever w/ @Ohio_EMA Executive Director Nancy Dragani. Ohio Emergency Management Agency (OEMA) constantly embraces new technologies like social media to spread preparedness efforts and update timely information for everyone. Social media is just one piece of the puzzle that OEMA uses to extend and promote their outreach efforts with various public safety partners and enhance engagement from various constituents and stakeholders in every community. Getting all the safety messages in a timely manner is the hallmark for success during any emergency or disaster. Special thanks to my friends at OEMA and Executive Director Nancy Dragani! This entry was posted in Uncategorized and tagged Agency, aloha, bunker, Center, Community, constituents, director, disaster, dragani, efforts, Emergency, engagement, enhance, EOC, everyone, executive, Management, media, message, messages, nancy, NDPTC, OEMA, Ohio, Ohio_EMA, OMG, Operations, operatioon, phone, Preparedness, Public, rusnivek, safety, selfie, social, stakeholders, State, technologies, technology by rusnivek. Bookmark the permalink.